In Birmingham, Coventry, and around the globe up to a million young people filled the streets to call for climate action for the Youth 4 Schools Strike. Many are worried about having a habitable planet when they got old. A future which the political class has decided to abandon by its inaction. Many other young people, mostly in poor countries, are living with the realities of 1C of warming right now. Their stories – like Brianna Fruean, 20 in Samoa in the South Pacific where they already have extreme cyclones, floods and droughts – are heartbreaking. The school stikers are demanding climate action. It is the responsibility of the government to transform its policy agenda to put climate at the heart of every decision. Local government also has to play a part to play. Cities use two-thirds of the world’s energy and account for more than 70% of global CO2 emissions, so have an important part to play in reducing global emissions. But as well as having a green policy agenda, which West Midlands councils claim to have, our local government has to demonstrate its commitment. It needs to reinvest the hundreds of millions of pounds that its pension fund, WMPF, has invested in the same dirty fuels which are condeming people like Brianna Fruean in Samoa to cataclysmic conditions caused by climate breakdown. Divesting these £ millions now is a small step, but it sends a strong signal that BP, Shell and the rest of the dirty fuel industry are losing their hold on our economy and our politicians. The youth have spoken. Our councils must respond. 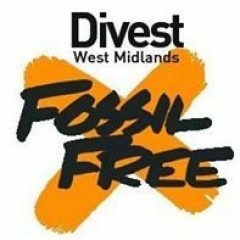 DivestWMPF are excited to be joined by a new sister group, Fossil Free Coventry. 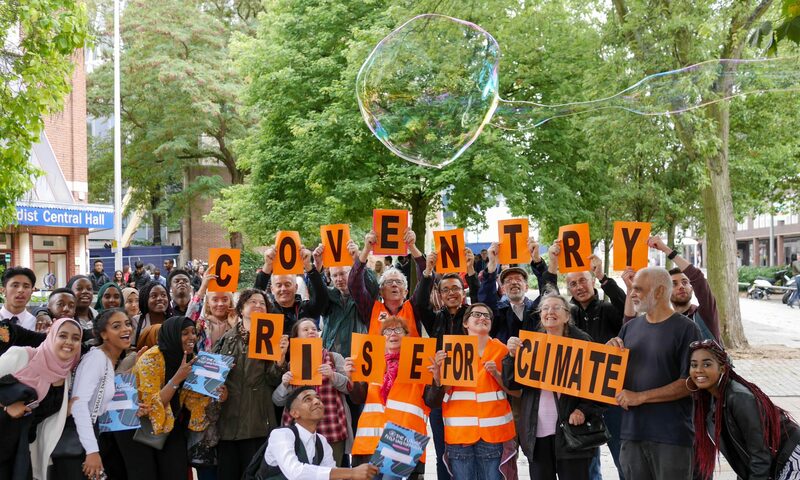 This group aims to move Coventry to a fossil free future by divesting from fossil fuels and by cutting its own carbon dioxide emissions. Letter writing – Call on Coventry Council to divest from fossil fuels and get more serious on cutting carbon emissions by writing to your local councillor. Games for Change – Play Tom’s new Games for Change. Petitions – We have petition. for Coventry City council to divest the local government fund from fossil fuels. Chat to us about our demands and sign the petition. It would be a great help if you could email your local Dudley MBC Councillor about the upcoming motion to be debated on 18th February 2019. You can find your local councillor here. I recently discovered that the West-Midlands Pension Fund, which manages the pensions of most council employees in Dudley and the rest of the West Midlands region, has significant investments in fossil fuel companies. I am writing to ask you to support a motion calling for these investments to end and for Dudley MBC to implement a ‘Responsible Investment Policy’ which rules out future investments in fossil fuel companies. The motion is being presented at Full Council on Monday 18th February. As well as financing these high emission industries the investments expose the pension fund to unnecessary risk. Much of the fossil fuel reserves which these companies rely on when judging their share value are ‘un-burnable’ if we are to significantly curb greenhouse gas emissions. They are stranded assets. Given the risk posed by possible stranded assets, and more importantly the opportunity to contribute to a cleaner energy future, it no longer makes moral or financial sense to invest in the fossil fuel industry. For further information may I refer you to divestwmpf.org.